Today I write to all of you asking for prayers. Father Jerzy, my mentor throughout my whole religious life, who was the best friend of my vocation and my spiritual Father died today in Warsaw, Poland. He lifted me up during difficult times, called me to conversion and growth in faith. He was a gentle and patient confessor, with a love that was the reflection of God’s love. He listened and advised, always staying in the shadow, so that my relationship with Jesus would always be first. It was from Father Jerzy that I learned who God is and how I can find Him in the reality of my life. Today he went to the Father’s House. 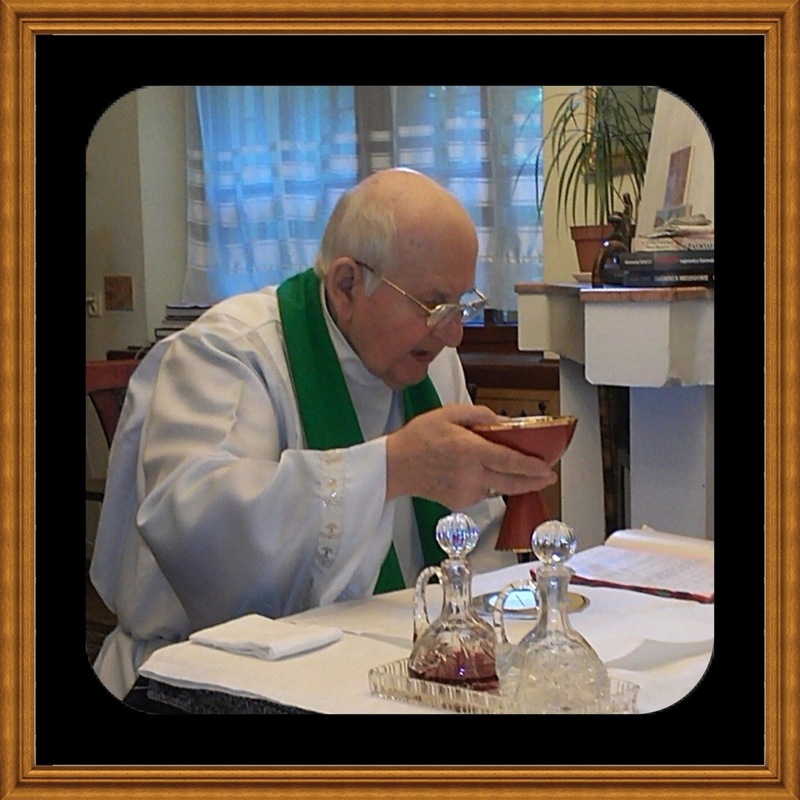 I cannot express how much I miss you Father Jerzy….See you in heaven! Sister Inga, my prayers are wit h Father Jerzy. God bless you and stay close to God as always. What a beautiful priest! God will reward him for his life and in a special way for his blessings to you as a Felician Sister and now your ministry in Haiti! I have just today found this site and my dear friends! I am overjoyed!!! Dearest Inga and Marilyn, how I miss you both! So much to hear from your ministry there and to share from Michigan. Love to you both and I will continue to remember you in my prayers. How blessed I feel to have even found pictures! Dear Sr. Inga, I am so sorry for your loss. Now, Father will be able to help you in a very special way in the presence of the Lord. I will join you in praying for him and to him. May God continue to bless the ministry that you and Sr. Marilyn have begun. Praised be Jesus Christ, for Father Jerzy being a profound instrument of God in your religious journey of faith. I thank you for sharing this heartfelt loss and join you in prayer. Peace of Christ be with you.